Your one-stop, on-the-spot auto service headquarters for a complete line of quality tires and auto services. For over 35 years, we have provided the Saint. John, NB, Fredericton,Oromocto, Riverview, Moncton, New Glasgow and Halifax areas with the latest products and unprecedented services for everything we sell. And for years, our customers have been coming back. View our online catalogs for the tires you need or stop in and see us. 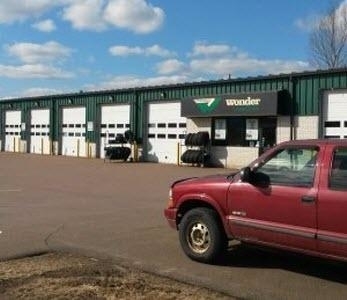 At Wonder Auto & Tire, our friendly and knowledgeable staff, quick and dependable service professionals, and affordable prices all come together to make driving out on a new set of tires easy. On top of that, we never "tire" of tires! Stop by and see us, and you'll be glad you did.